All-you-can-eat tossed green salad, Cajun Boil, bread, and of course… fresh cracked crab! 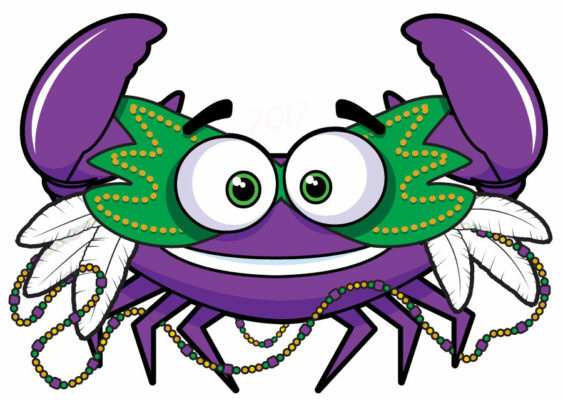 Wear Your Best Mardi Gras Costumes! If parking lot is full you will need to find street parking. We sell drink tickets for mixed drinks, beer and wine. Bring ID if you’re planning on drinking; you will need it for your wristband. For more information, please contact Lisa Watanabe at (916) 739-8525. The Firefighters Burn Institute is a non-profit 501(c)(3) organization founded by Sacramento Fire Captain Cliff Haskell and the Sacramento Area Fire Fighters Local 522 in 1973, for the purpose of establishing a local burn treatment facility; providing recovery programs for burn survivors; providing fire and burn prevention through public education; funding education for burn team professionals, firefighters, and burn survivors; and supporting burn treatment and rehabilitation research. There are many different ways to get involved and help the Firefighters Burn Institute! We have numerous volunteer opportunities throughout the year and are always looking for fun, friendly, enthusiastic people to volunteer their time. Businesses, Fire Departments, Unions, and Associations can also get involved by sponsoring a fundraiser, hosting a boot drive, a pledge challenge, or hosting a special event on behalf of FFBI. If you would like to help out and get more involved please contact us, we would love to hear from you! Thank you for supporting the Firefighters Burn Institute and the programs and services we provide for burn survivors! Donate now or consider volunteering your time for a special event, program, or fundraiser to support FFBI.